Throughout time it has been the custom of all races to honour the memory of those near to them by erecting a lasting form of memorial. A memorial is the traditional way of paying tribute to a relative or friend who has died. It is a permanent symbol of remembrance, so it is important that it’s design and material should be carefully chosen. 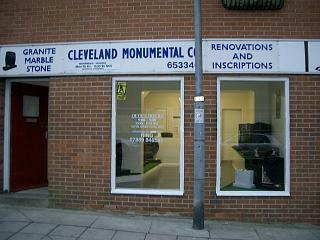 The Cleveland Monumental Company has been produced memorials for 25 years and for many are recognised as the leaders in both quality and monumental craftsmanship. 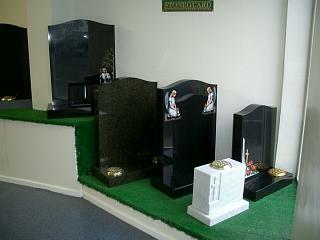 The designs in both granite and marble are from the largest most comprehensive range of distinctive memorials that you’ll find anywhere. We only use the finest materials, memorials are produced with modern production methods on highly sophisticated machinery. Coupled with this is the care and skill of some of the most experienced monumental masons. Their traditional skills and craftsmanship result in a collection of pleasing and creative designs at competitive prices.